Figure 1. 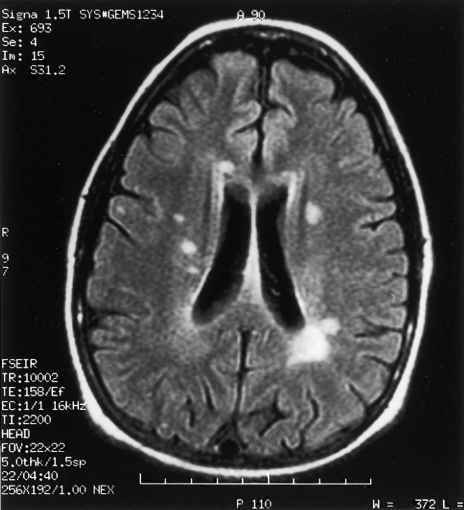 The person desiring the test, known as the proband (arrow; III,2), knows that her grandfather (solid colored square; I,1) had Huntington's Disease (HD). Her mother (II,2) is therefore at fifty percent risk for HD (shaded). If the proband desires to know whether she will develop HD, a direct genetic test can be performed. If the proband is tested and her HD gene is abnormal, then automatically she knows her mother's diagnosis as well, even if the mother does not want to know this information about herself. 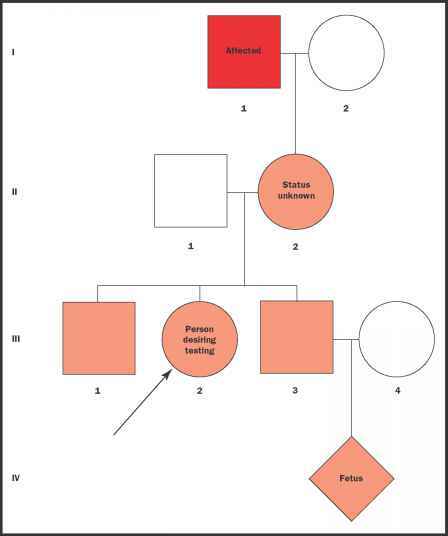 Similarly, if the proband's sister-in-law (III,4) desires to know the HD status of her fetus (IV), and the child tests positive, a diagnosis of HD could be obtained about her husband (III,3) as well as his mother (II,2) regardless of their preferences for knowing or not knowing their status. prepare them to consider their possible reactions to the results, whether positive or negative. In addition, results should be given in person, and counseling and support should be available following the test.